Does an image show a newspaper account of a kitten who nearly died from being fed a vegan diet? 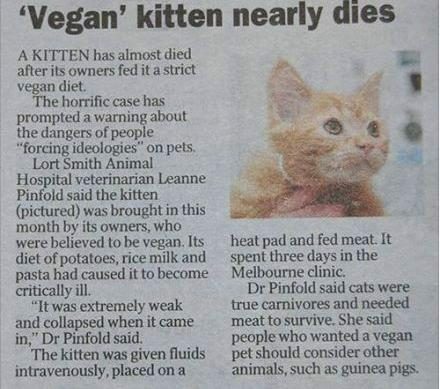 Image shows newspaper account of a kitten who nearly died from being fed a vegan diet. Is this a real article? The horrific case at a North Melbourne animal hospital has prompted a warning about the dangers of people “forcing ideologies” on their pets.Lort Smith Animal Hospital veterinarian Leanne Pinfold said the kitten was brought in this month by its owners, who were believed to be vegan. She said the kitten’s diet of potatoes, rice milk and pasta had caused it to become critically ill.
“It was extremely weak and collapsed when it came in. 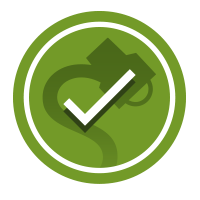 It was almost non-responsive,” Dr Pinfold said. It remained in hospital for three days after which the kitten’s owners were given meat to feed their pet at home, she said. [Melbourne] Herald Sun. 22 July 2013.